“Self-promotion Saturday?” My mother would be appalled, but times (and media cultures) change, and I do have a few things that might be of interest to China Beat readers. In addition to co-editing China in 2008 (which regular visitors to this site might possibly have heard of), I have another co-edited volume that came out this spring, and another book I edited has just come this summer. 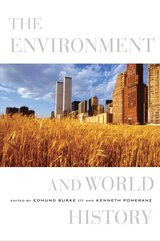 The spring volume is The Environment and World History, 1500-2000 (UC Press), co-edited with Edmund Burke III; it includes both regional essays (I did the one on China), and topical ones (on energy and land use), plus an overview by yours truly (in which China figures prominently), that tries to make sense of the big picture. The brand-new volume is The Pacific in the Age of Early Industrialization ca. 1800-1914 (Ashgate Publishing). This is the final volume in Ashgate’s 11 volume “Pacific World” series, and we take that term seriously – my volume looks at developments in Chile and California as well as China, Japan, Korea, and various parts of Southeast Asia. Several of the essays are classics – by Takeshi Hamashita, Kaoru Suighara and others – that were originally published in places where English-language readers may have a hard time finding them. I have added a long essay of my own on how development in different parts of the Pacific littoral have affected each other, on what is and isn’t distinctive about the way industrialization has occurred in Japan, Korea, Taiwan and coastal China, and about what some of this may mean for the contemporary world. Anyway, there’s a more concise print version in the July/August issue of New Left Review, and a more detailed (and heavily footnoted) one online in Japan Focus: Asia-Pacific Journal. Not the most fun way to spend one’s summer – I became pretty depressed as I researched some of this – but it is an attempt to think through water problems and policies directly affecting roughly half the world’s population, whose future drinking water, irrigation water, hydropower, and so on may intersect amidst the retreating glaciers of Tibet.